When you're with us, you're home! Live Your Life at Autumn Place! We travel life's trails only once - turns were made as choices were presented. Oh-so-many from which to choose! The more trails we venture...the greater our fulfillment, enjoyment and personal growth as we pursue life's rewards and opportunities. Autumn Place is a chateau to reflect on trails already blazed, and travel new pathways to personal growth, health and well-being at the time of your life when you deserve only the best there can be...Autumn Place. Autumn Place is retirement living with all the amenities of home. A resident at Autumn Place can live a life of freedom, social enhancement, great food and one level of service - The Finest! We offer senior independent living apartments, residential care, assisted living and memory care. Our senior independent living apartments are designed for pleasurable living with full access to our services at your fingertips...as much or as little as you choose. The independent living apartments have different floor plans available at each location. Baxter Springs and Columbus, KS-one or two bedroom apartments. Joplin, MO and Pea Ridge, AR-studio to one bedroom apartments within one building. 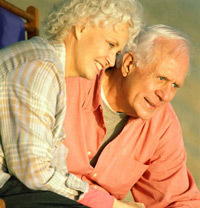 As we age day by day, the services required for life's fulfillment and health enhancement are uncertain. Our assisted living/residential care provides support so you get more out of each and every day. Within the comfort of each home, you and your loved ones will be at ease knowing that assistance is available for everything from the little things in life to full assistance with daily tasks. Knowing that a staff of caring and trained professionals is always available for your needs and assistance is a compliment to your privacy and autonomy. A resident-centered open environment combined with structured activities is critical for those afflicted with Alzheimer's and related dementia disorders. At Autumn Place Memory Care Unit, our involved staff is dedicated to the quality of life enhancement of our residents. Copyright � 2009 Autumn Home Care Facilities, Inc.� All rights reserved.